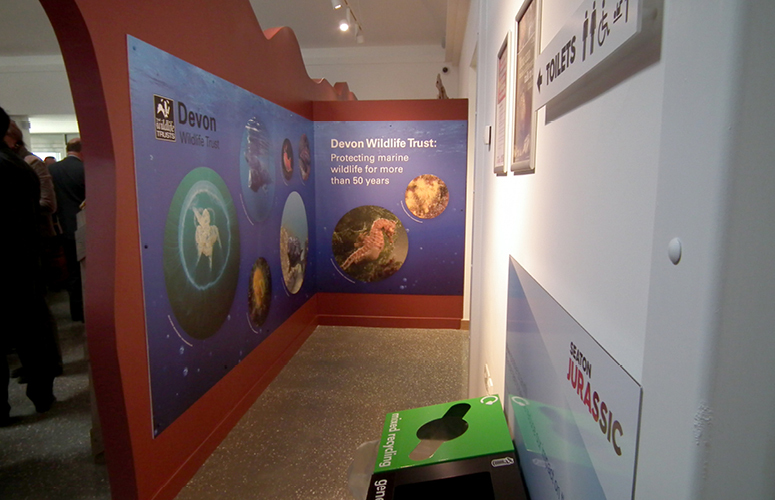 Seaton Jurassic is a community-led centre that engages people with East Devon’s unique geological, costal and marine heritage. It is the first Devon Wildlife Trust flagship visitor centre that will aim to transform mind-sets about the natural world, through the story of life. Our brief was to design a cafe and retail area to enhance the visitor experience and provide a sustainable additional income stream.The tall interior space is linked to the reception with a long feature wall that replicates the profile of the Jurassic coast. The team at Fruition have a keen understanding of how to create well balanced spaces where customers can feel relaxed, whilst inviting them to spend. 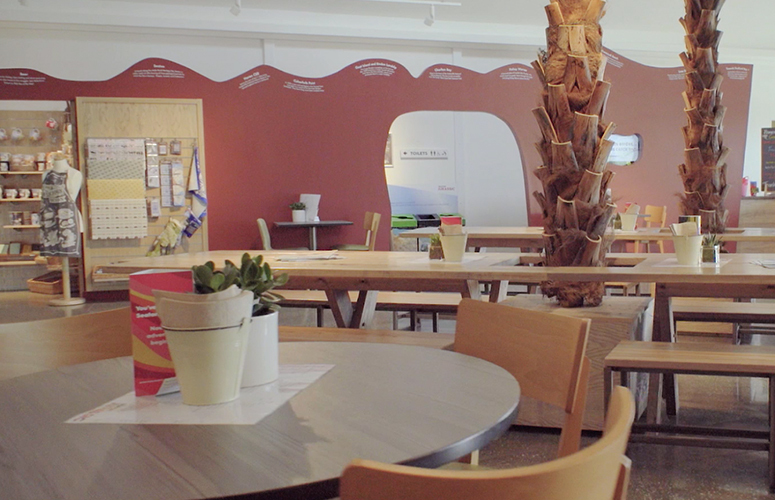 Our café and shop needed to be connected to the interpretation in the exhibits, without giving too much away or become overwhelming. 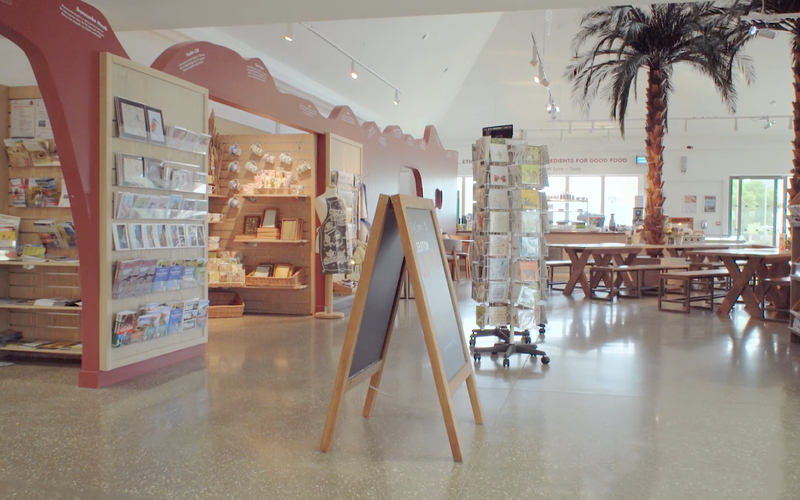 Plus, be accessible and inviting to both exhibit visitors and customers just wanting to visit our cafe and shop. The end result does exactly that and many customers comment on the impressive design of the café. It is a great place for people to enjoy a sit down meal or a quick snack and it builds anticipation for what is to come in the exhibits. We are very pleased with how Fruition have managed to transform this critical area into successful hub and boost for the centre as a whole. 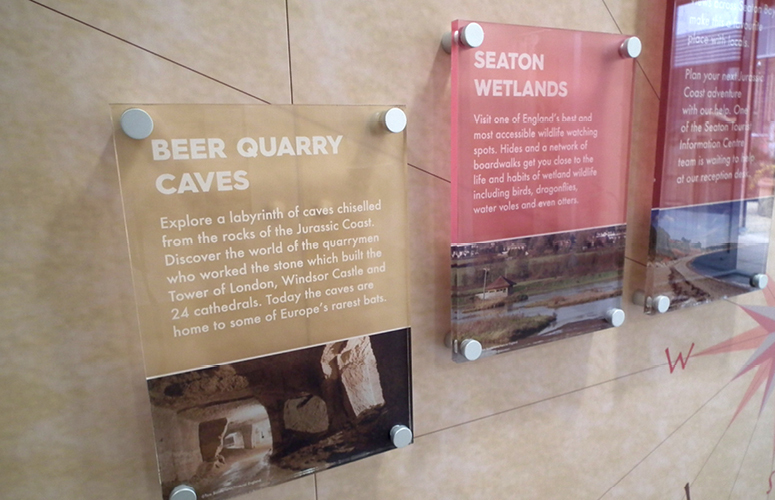 Visitors can spot places and features on the wall and relate them to their experiences or future excursions. 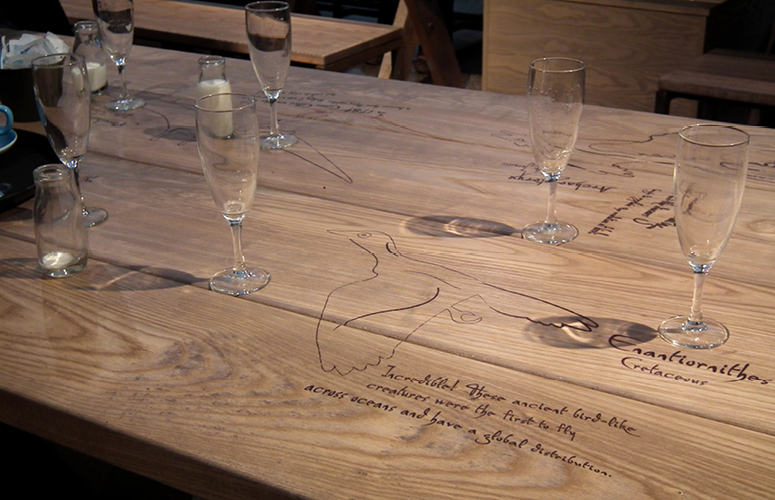 Large communal tables are covered in illustrations in the hand of the time travelling heroine of the Seaton Jurassic exhibit. 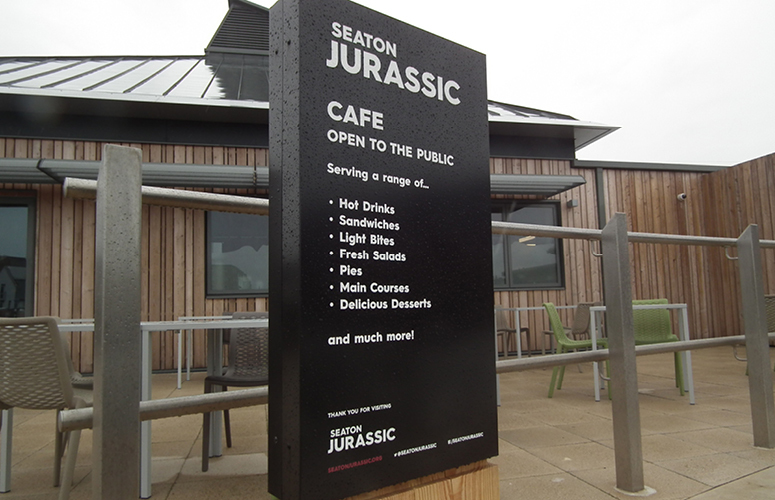 The cafe servery and retail space are sensitively integrated with the Seaton Jurassic aesthetic to both link with narrative of the centre but also provide links to the broader agenda of the projects main sponsors Devon Wildlife Trust. Ready to start your interior refurb or refit? Give us a call to find out how we can help.